Oct. 30th was Gwen's birthday and we went to Charleston to celebrate and visit my brother and sister. The plan was for Bethany to watch RK while Gwen and I toured through Charleston for the day. However we were surprised by Bethany, Andrew, and my parents with a night in a nice hotel! It was a wonderful weekend that we really needed. Happy Birthday Gwen! My sister (Aunt Bep) snapped this photo while feeding RK breakfast a few weeks ago. 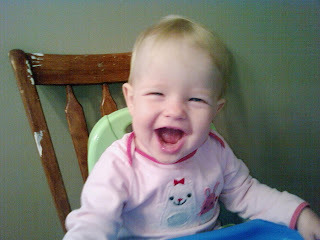 She was a happy baby early in the morning! Gwen is gone to a wedding down in Florida for the weekend. I miss her! Come home soon sweetheart!!!!! RK is learning faster than we think. She cracks us up! My little brother (Andrew) is now engaged! 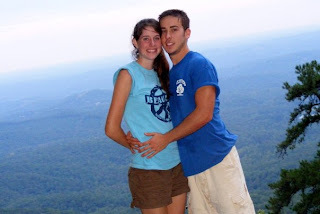 He proposed to his girlfriend, Brittany, on Labor Day weekend. They plan to get hitched on June 5th. CONGRATULATIONS ANDREW AND BRITTANY!! Full Schedule or Full Heart?